Save £10 if you book by 28 October. To pay by invoice or cheque please contact Carolyn Barber on info@goodmentalhealth.org.uk or 023 9216 1164.
to offer opportunities for learning and professional development for those working in the people professions. CPD Certificates of Attendance will be available. Attention seeking? Suicidal? Mentally ill? Emo? This course explores the cultural and historical context of self harm, helping to dispel some of the myths that surround it, and raise understanding of this much misunderstood issue. Come and find out what it is, what might trigger self-harm, how common it is, and what may help in supporting someone who self-harms. 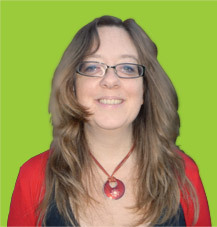 Sandy is a Registered Mental Health Nurse with over 20 years experience of working in psychiatric care services. She is currently a Lecturer in Mental Health at the University of Southampton, Director of The Sanity Company which publishes children’s books, and a founder director of the Good Mental Health Cooperative. Save £10 per place if you book before Friday 28 October! !